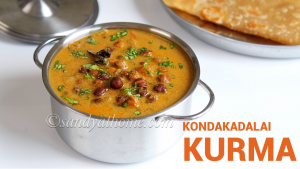 Kondakadalai kurma/ Black channa kurma is something most of them might have not heard, if heard must have not tried, but trust me it’s a must try recipe as it is super delish and at the same time is very easy to prepare as well. 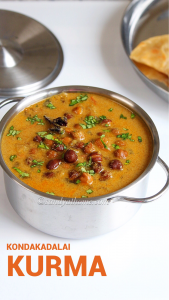 This multi purpose kurma loaded with flavors can be served with chapati/ roti, rice, idli and dosa as well which means it can be served at any time of the day making it a bliss. 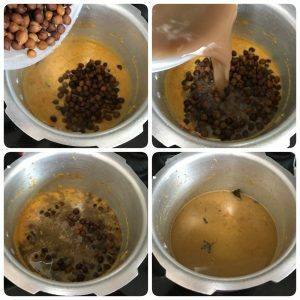 So this kurma involves the same preparation that regular kurma involves but a slight change in the grinding part will make all the difference in taste of course in a good way. 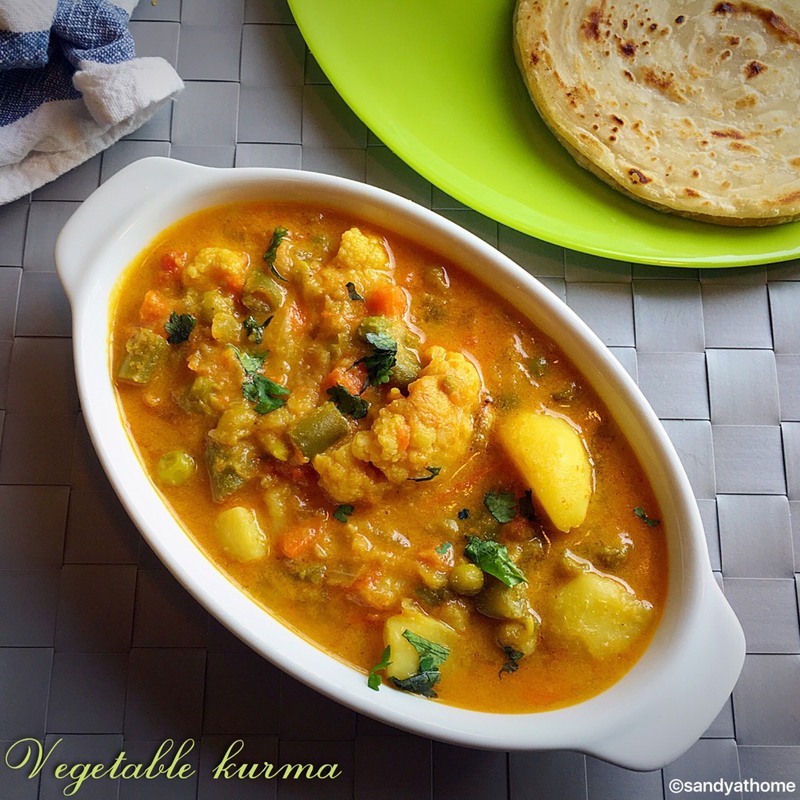 When I think of kurma this the first recipe that comes to my mind as it involves no cutting of veggies which is a time saver again. So before we get to the making, I must mention that I pressure cooked this recipe 2 times, the second pressure cook can be skipped if you don’t want to use the cooker again and again. So lets get to the making! 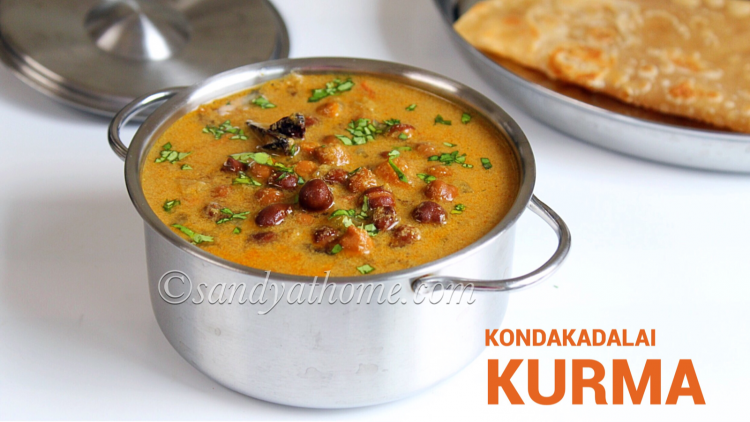 Wash and soak black channa/ kondakadalai overnight or for 8 hours at least. Pressure cook it for 2 – 3 whistles. 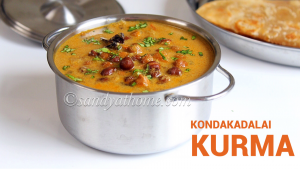 Drain the water from black channa/ kondakadalai in a separate bowl to be used for gravy. Chop onions and tomato. 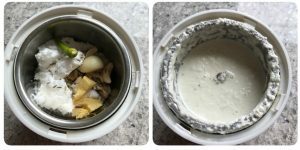 In a blender add grated coconut, cashew nuts, green chilli, ginger chunk and garlic. Grind it into a fine paste adding little water. Now in a pan/ pressure cooker add whole spices when aromatic add chopped onions and. Saute well. 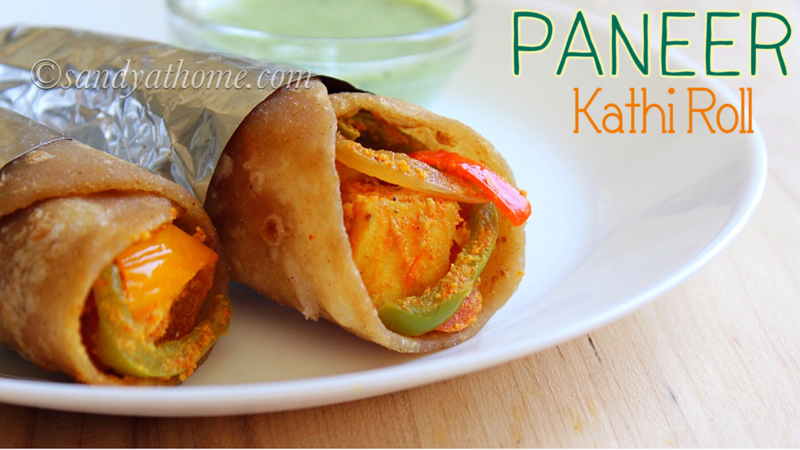 When onions look sauteed add chopped tomatoes, salt, turmeric powder, red chilli powder, garam masala powder and salt. Mix well and cook tomatoes soft. 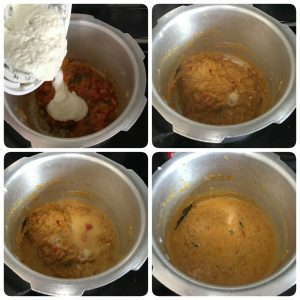 Now add the ground coconut paste to the tomatoes and give it a good stir. Put on the lid and whistle and pressure cook for one whistle. When the pressure has subsided open the cooker lid and mix well. Garnish it with cilantro and serve it hot! 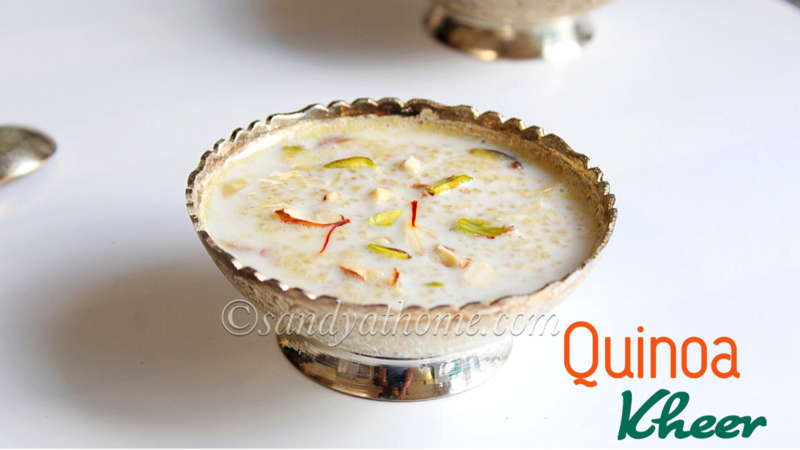 It came out very well.kid and hubby liked it very much !! !